Two-time FSU alumnus James Frazier has been appointed dean of the College of Fine Arts. 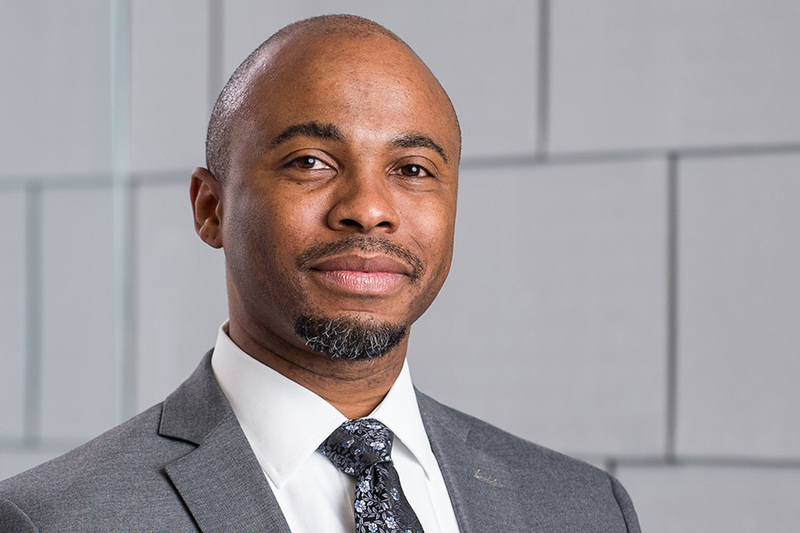 Two-time Florida State University alumnus James Frazier has been appointed as the new dean of the College of Fine Arts, effective June 17, 2019. Frazier, who earned his bachelor’s and master’s degrees at Florida State, has served on the faculty of the Virginia Commonwealth University (VCU) School of Arts Department of Dance and Choreography since 2001. His tenure at VCU includes a year as interim dean of the school. Frazier, who was promoted to full professor at Virginia Commonwealth in 2012, served as interim dean of VCU’s School of Arts for the 2016-2017 academic year, overseeing almost 3,000 students, 170 teaching and research faculty, 200 adjunct faculty members, 33 staff members and a campus in Doha, Qatar. His administrative posts at VCU also included associate dean for graduate studies and faculty affairs for the VCU School of Arts and chair of the Department of Dance and Choreography. Frazier’s Florida State roots run deep. While studying at FSU for his bachelor’s degree in marketing (1991) and Master of Fine Arts in Dance (1994), Frazier learned the ins and outs of arts administration as a work-study student and graduate assistant in the Department of Dance. After finishing his master’s degree, he worked behind the scenes as the dance department’s publicity coordinator for a year. A few years later, when he returned as a visiting professor, he took a similar role with the Urban Bush Women dance company, which was then collaborating with FSU on the Summer Dance Institute. Frazier’s other appointments include co-dean of the American Dance Festival (2010-2013) and associate artistic director of the Dance Institute of Washington in Washington, D.C. (2000). He also serves as a visiting evaluator for the National Association of Schools of Dance, a dance accrediting body, and has been a member of the American Dance Festival’s board since 2015. As a professional dance artist, Frazier performed and toured with Kokuma Dance Theatre Company (England) and Dallas Black Dance Theatre (Texas), and he was a founding member of Edgeworks Dance Theater (Washington, D.C.). His own choreography has been presented at numerous universities, as well as at Washington, D.C.’s Kennedy Center (Concert Hall and Millennium Stage), The National Museum and the Carter Barron Amphitheater. He is a past recipient of the Virginia Commission for the Arts Choreographic Fellowship, and in 2009, he was commissioned to create a new ballet for the Richmond Ballet Company. In 2006, Frazier received the Alma Hawkins Award for Excellence in Dance Education for emerging leadership in the field by the Council of Dance Administrators, an organization over which he eventually presided as president. He was made a fellow in the mentoring program of the International Council of Fine Arts Deans in 2008. Frazier earned a doctorate of education in dance from Temple University in 2007. Scott Shamp, who has served as interim dean since May 2017, will remain with the college as senior associate dean. Storbeck/Pimentel & Associates conducted the national search, and College of Social Work Dean Jim Clark chaired the search committee.